Challenge students to build a rocket that flies further and soars higher than any other in the class. The full kit includes 100 tubes, launcher, cork borer, hose clamp, styrofoam, rubber feet, stomp rocket, and instructions. 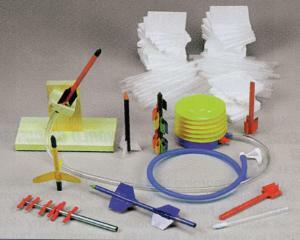 The refill kit includes 100 tubes, styrofoam, and instructions.